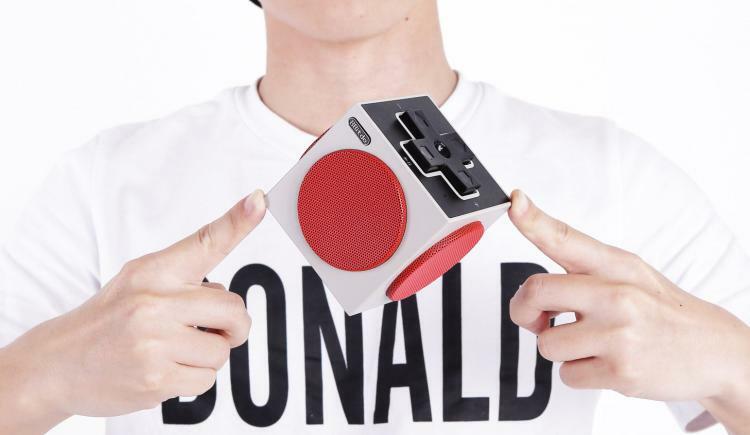 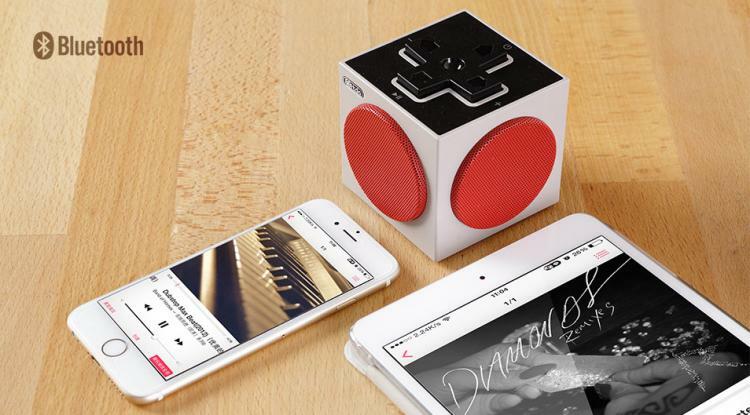 This cube shaped Bluetooth speaker is made to look like a Nintendo controller with the top of the cube having a D-pad where you can control the power, volume, and play/pause functions, and the sides of the cube all having speaker grills that look like the A/B buttons on the controller. 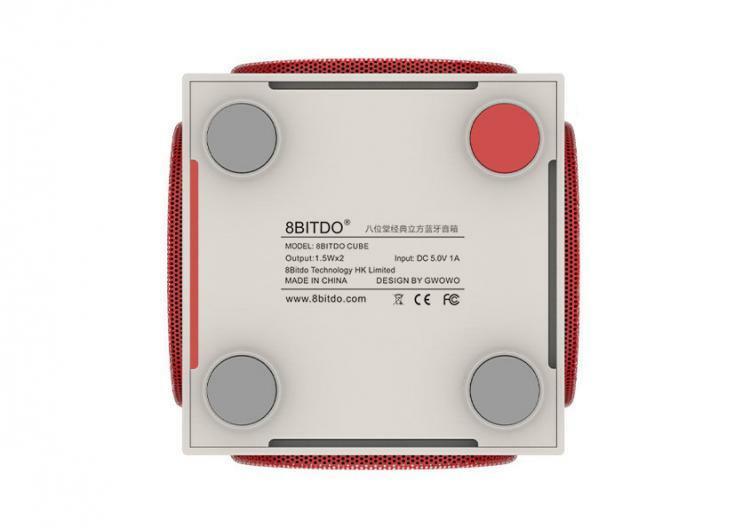 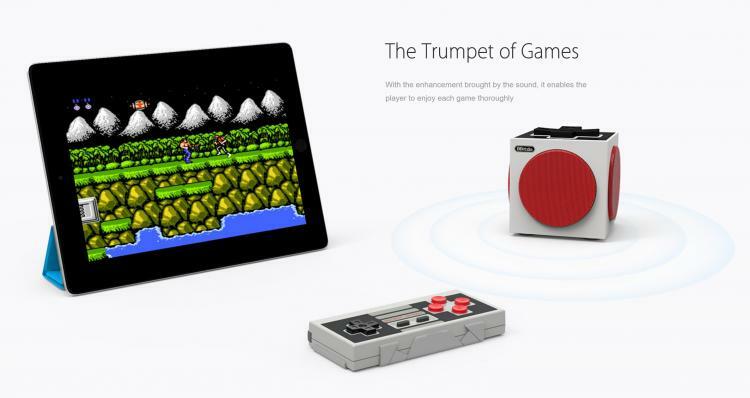 Created by 8BitDo, the same company that's brought you the NES30 Bluetooth controller, as well as the Bluetooth SNES gaming controller that we've featured in the past, the company is now moving into the Bluetooth speaker industry yet keeping with their theme of retro gaming controllers. 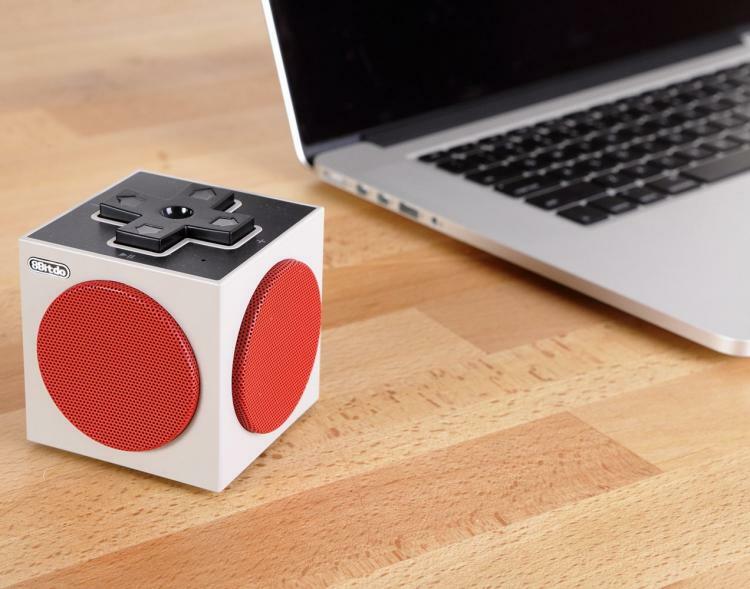 A perfect gift idea for any geeks who loves the old-school NES as well as music, the 8BitDo Mini Cube Speaker could probably also be used to output gaming sounds while using one of their controllers. 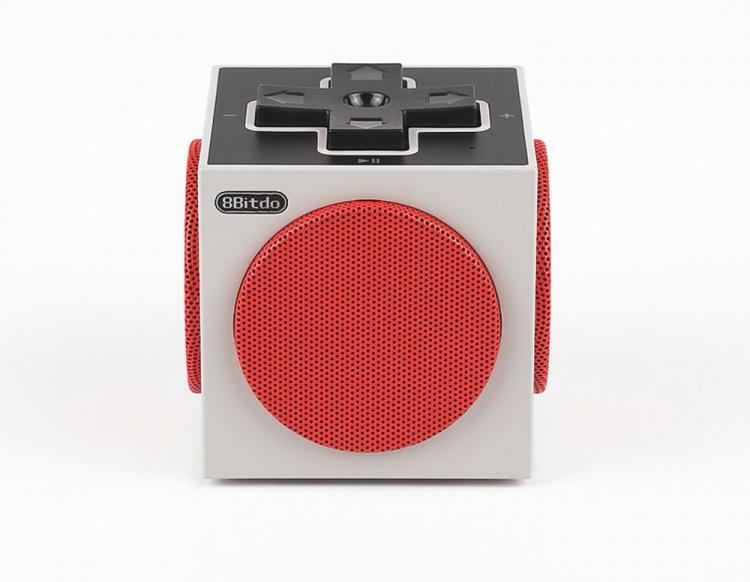 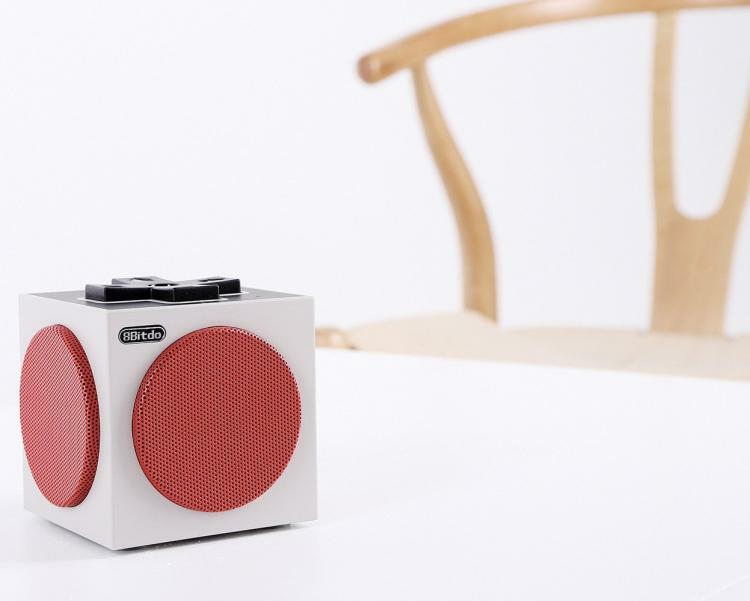 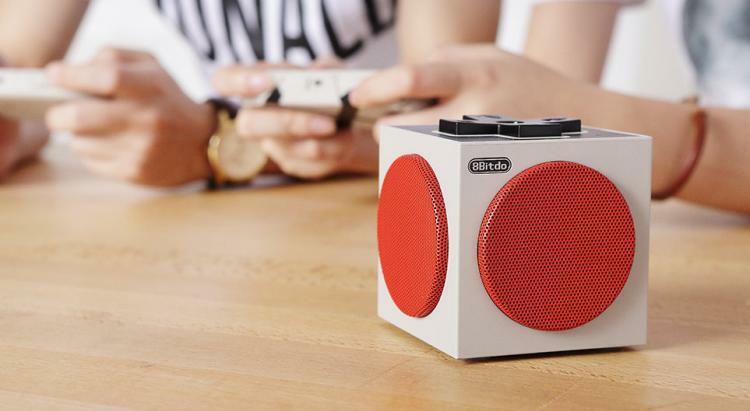 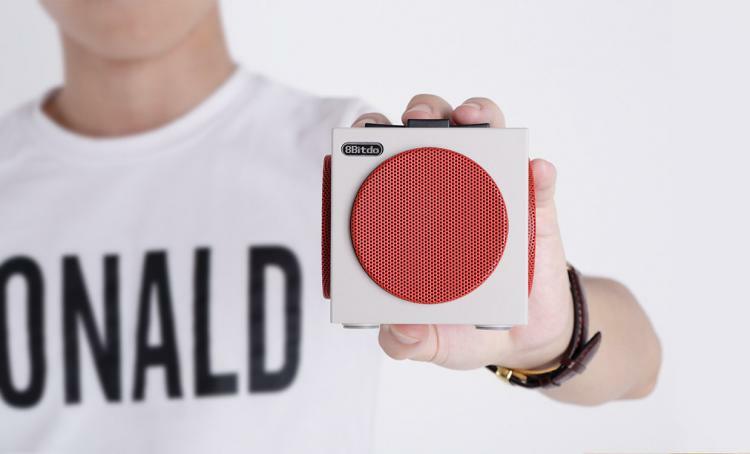 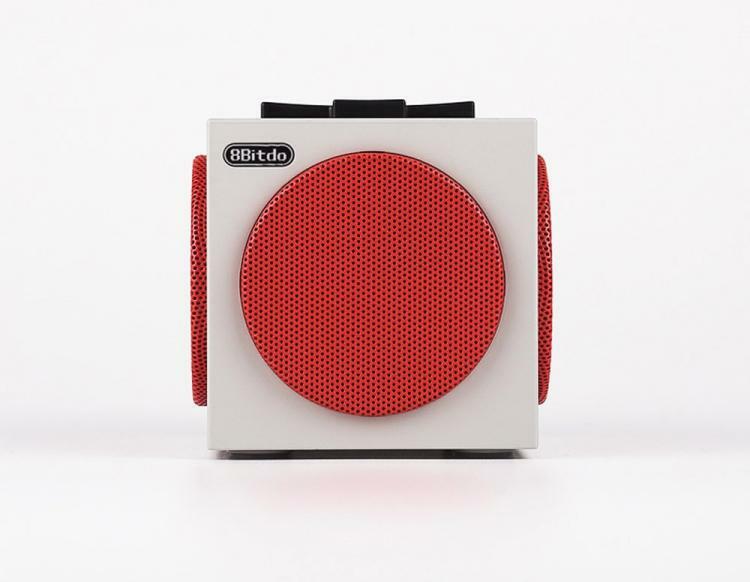 The 8BitDo NES cube speaker takes a retro design from the 90's and puts a modern take on it which allows you to get the full sound quality when playing mobile games on your mobile devices, or just to play some music on. 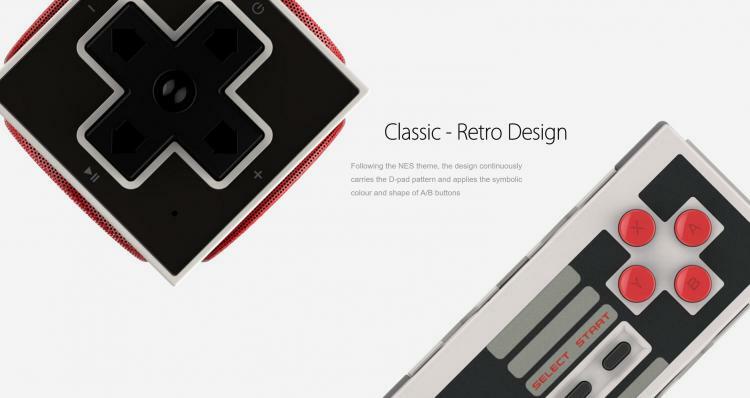 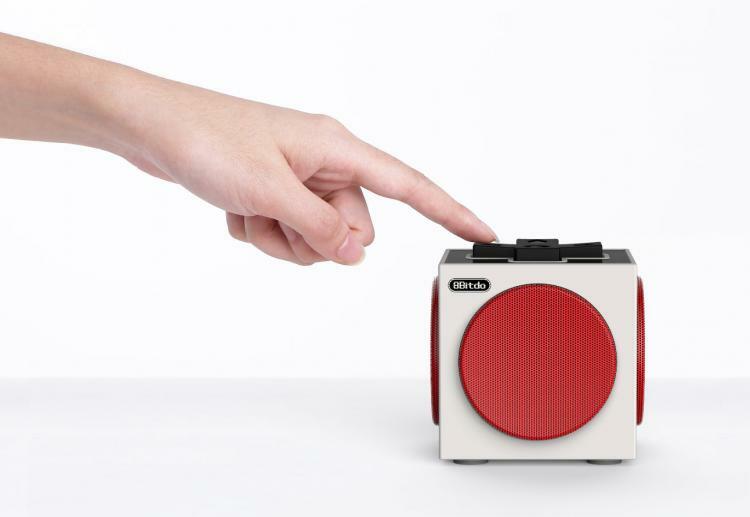 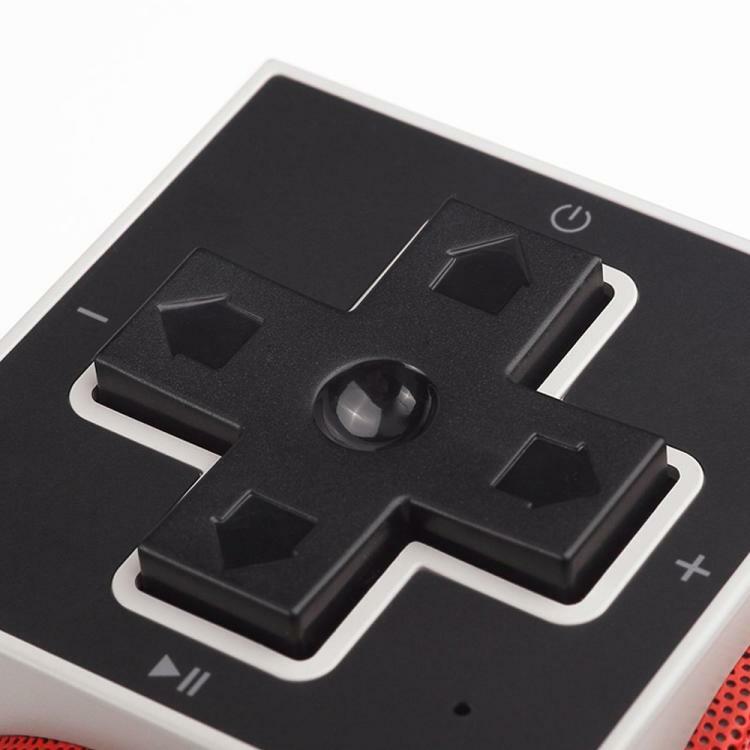 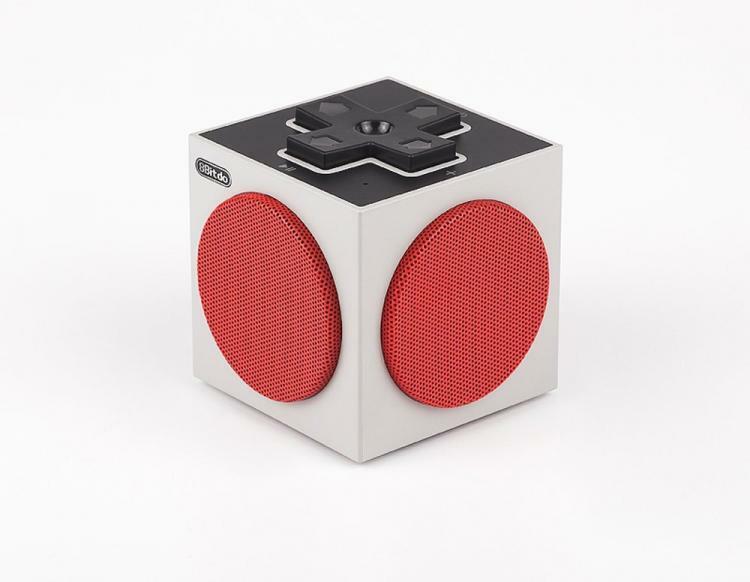 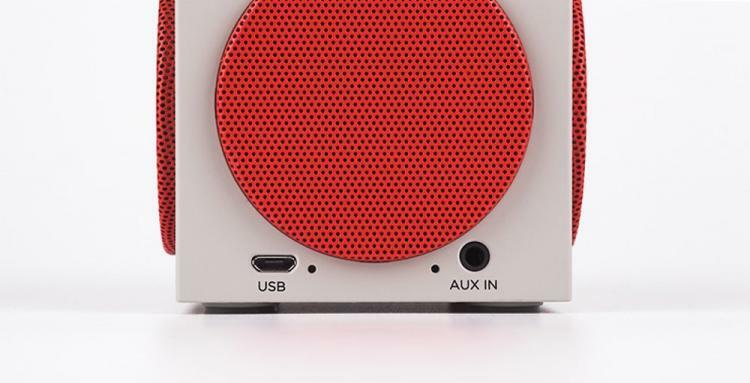 Following the NES design, the speaker takes the symbolic buttons from the old NES controller and applies it to a cube, which everyone who sees it will instantly connect with and will surely hit their nostalgia receptors. 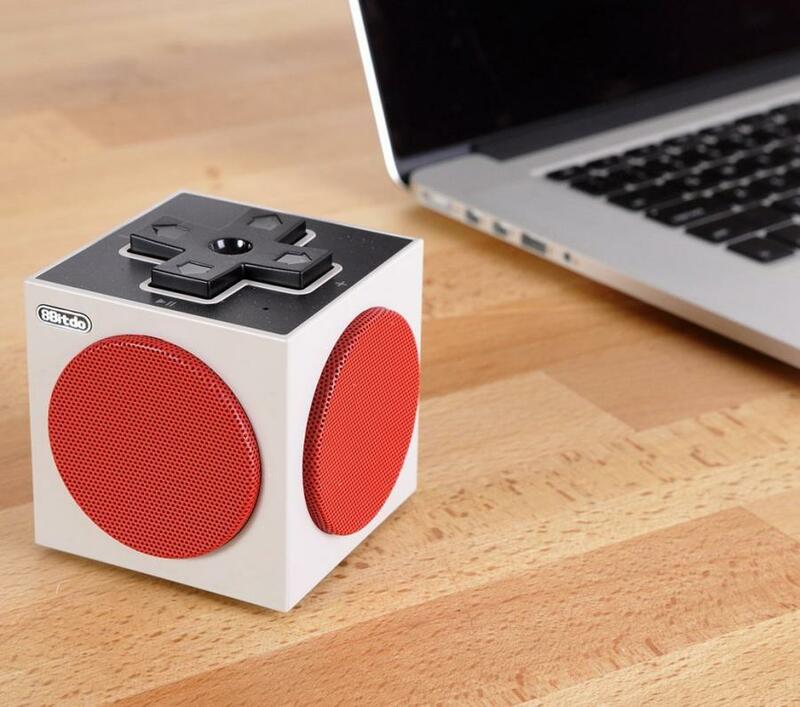 Check out the 8Bitdo Bluetooth cube speaker that looks like an NES controller in action via the video below.